Working for a Wriggle means I get to hear about a lot of new openings before the average Joe. I also get to discover places I’ve passed a hundred times without realising until they’ve got into the app. A prime example of this is Chai Pani on Cotham Hill. Their one year anniversary is in November this year and I must have sauntered past this wee restaurant more times than I can count on my way home from my old job and barely registered it and for that, I’m kicking myself. Kam the owner has lived in Bristol for nearly 30 years and has created a charming little Indian restaurant in an area that shouts loud about good food. 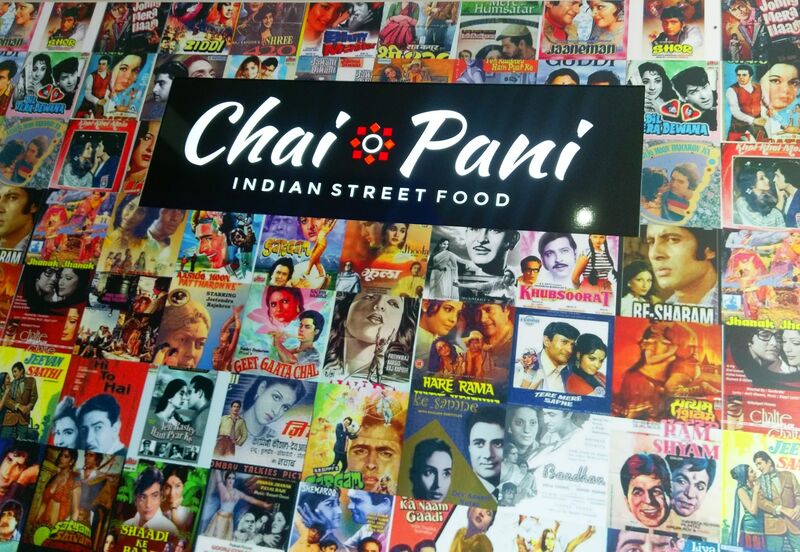 It’s a long, rectangular space with a red and black motif and a brilliant Bollywood collage of film posters on one wall. Kam is really keen on cooking the sorts of meals that he and his family enjoy at home and back in India. There is a choice of traditional street foods and wraps, traditional curry and a selection of the old favourites for this that dont like to deviate too far. We went for poppadoms with homemade chutneys and raita, pani puri and kale pakora to start. The mango chutney was sensational and homemade with a depth of flavour you just can’t get store made. The pani puri is a fun dish where you fill a cracker style “pot” with a lightly spiced tamarind water and pop the whole thing on your mouth. Gorgeous! 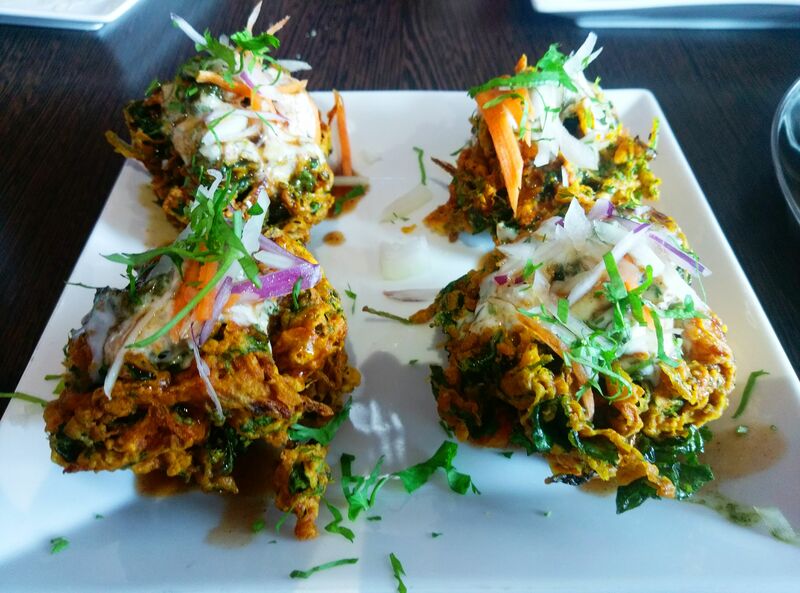 The kale pakora came topped with a green chutney that added spice to the light and crispy ball. Finally, someone made kale palatable. For main I went for the lamb thali which came with rice, raita, fresh salad and a curried sweet potato and broccoli dish. Portion was generous, the lamb was beautifully tender and had been marinated well so the sweet lamb flavour was still detectable in the gravy. The gravy again was packed with flavour and not overtly spicey. The accompanying peshwari nann was freshly cooked and greatfully received for mopping leftovers. 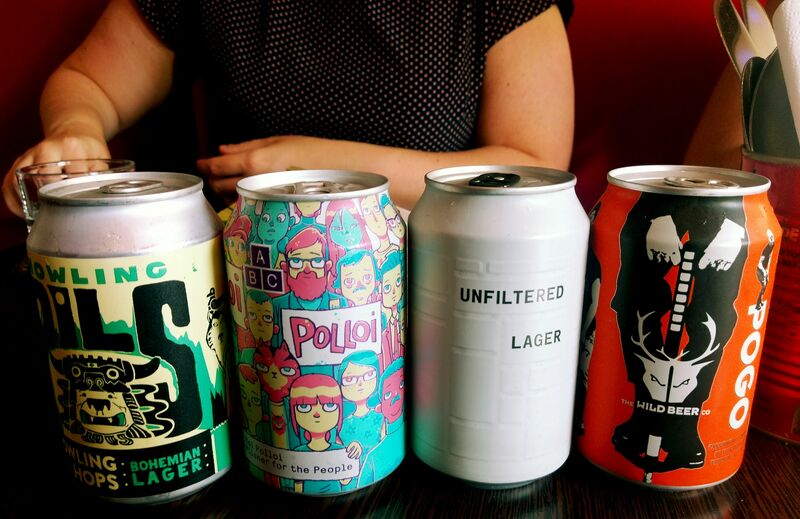 We had no room for pudding sadly but we did enjoy some cans from Corks of Cotham as Chai Pani is BYO. 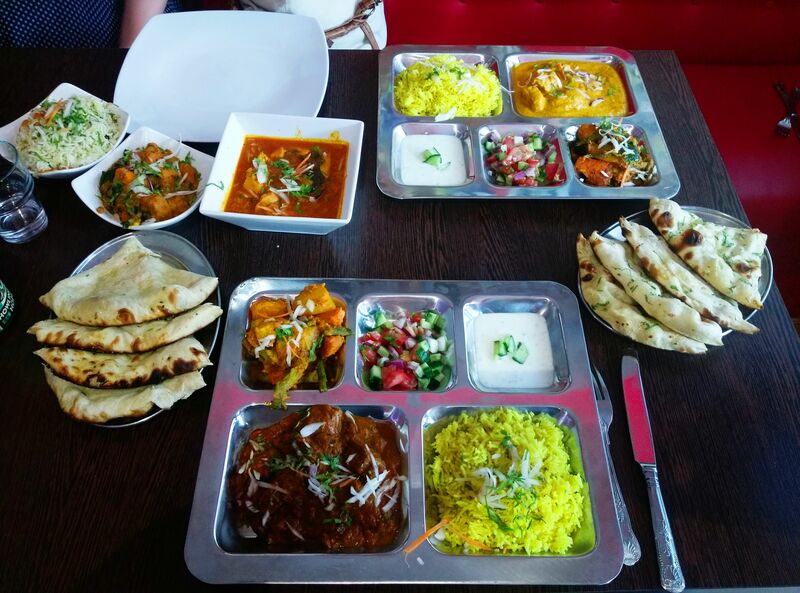 Pricing wise the dishes are very reasonable, with the special coming in at 8 for a portion and the thalis at £10 each. They also have a cracking Wriggle deal that will leave you waddling down the road for less than £30. BARGAIN.